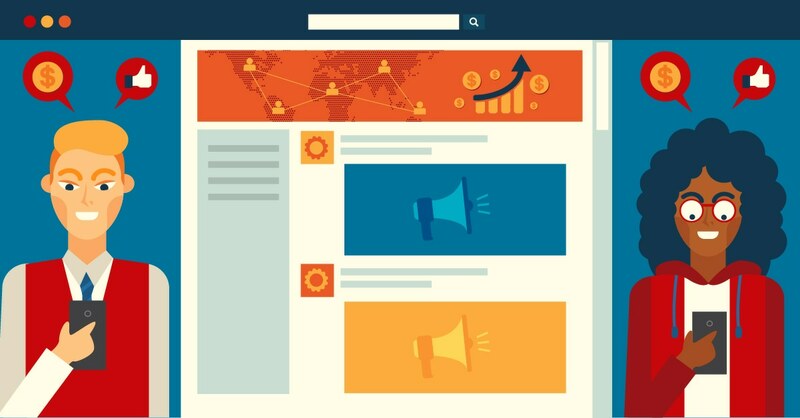 It may be hard to believe, but every social media post has the potential to lead to a sale. The process between the post and the sale often takes a few steps; sometimes the conversion is almost immediate. But in either case, understanding the life of a social media post can help. From a lead looking at reviews and your website, to completing a form, reading an ebook, contacting a sales rep, or the myriad of other potential steps, you must consider the strategy behind making sure each step leads to another. Remember: As long as the person is in your sales funnel, you have the potential for a sale. That number underscores the power social media has on consumers. Furthermore, not only are posts reaching audiences, but audiences are then converting and making the purchase after seeing the post. Thirty-eight per cent of Facebook users actually purchase a product after liking or sharing it, and half of these purchases are made within one week of engaging with the post. Engagement can lead to brand awareness, and ultimately the sale. The key, however, is making sure you do not lose people as they move down the pipeline. This list helps us to see where feedback is especially important. Of course, do not discount the value of reviews on Google or other sites, but focus on building up the positive feedback you can gather in these arenas. Once people see a social media post, like your product, and do a little investigating, they are likely to visit your website. This is when it is important to make a positive impression on your audience. Whether they order from a third-party site or directly from your ecommerce site, it is important that your website is up-to-date, user friendly, and relevant. Today, people are not interacting as often with physical stores. Instead, they head to websites through social media posts, so your website is your image and it determines whether people decide to do business with you. If you are a service or B2B company, you may not necessarily be selling products. This makes your website all the more important, as your social media post will lead them to your website—more specifically, to a landing page you created and optimized specifically for that social media post. Once your social media post leads a visitor to your website, you likely want people to fill out an inquiry form. The goal is to get their contact information so that even if they do not convert, you can follow up with them. Inquiry forms should be simple and straightforward. For example, their name, email, phone number (optional), and space to leave a message will often do. The best contact forms leave out unnecessary requirements and focus on making it easy for visitors to give you the information you need. Social media posts can also lead to prospects contacting your sales team directly. With the CTA option of “Call now” on platforms such as Facebook and Instagram, some users call the business directly rather than navigate the website. If this is the case, make sure the path of social media post to sales representative directly results in a sale. Train your sales team, and help them respond to social media traffic that contacts your company over the phone. The end goal of a social media post is to get a customer to complete a sale. It is nice to get traffic on your website, inquiries, and people contacting your sales reps, but if they don't complete the sale, then you may not see the end result you want. Part of the life of a social media post involves measuring conversions and seeing what leads to a sale. Which of these ideas give your business the most success? Are some of your posts more successful than others in getting your visitors to complete a purchase? If so, find out why and what you did well with that particular post. Researching what gets your audience to react the way you want them to—and measuring your success—is a big part in every social media campaign. Learn how you can take your customers on a 1-to-1 journey with your brand with a quick demo of Salesforce’s powerful Marketing Cloud.